The attacker named as Salman Abedi, 22, of Libyan descent. The attack among the worst in UK's history, says PM Theresa May. Prime Minister Theresa May has announced the terrorist threat level of the UK has been raised from severe to critical following the Manchester attack. This means that another terrorist attack is expected "imminently". The announcement was made from Downing Street, with the Prime Minister confirming authorities have been unable to establish whether the bomber Salman Abedi was working alone or was part of a terrorist cell. "It is a possibility that we cannot ignore that there was a wider group of individulas linked to this attack," Ms May said. The last time the threat was raised to this level was 2007 in response to a foiled terrorist plot targeting a London nightclub. This means armed soldiers will patrol the streets instead of armed police, particularly at events that terrorists might target such as concerts and football matches. Ms May added: "I do not want the public to feel unduly alarmed. We have faced a serious terrorist threat in this country for many years." Up to 5,000 troops will take over armed police patrol duties under police command, and will be seen as possible danger spots including Parliament and railway stations. 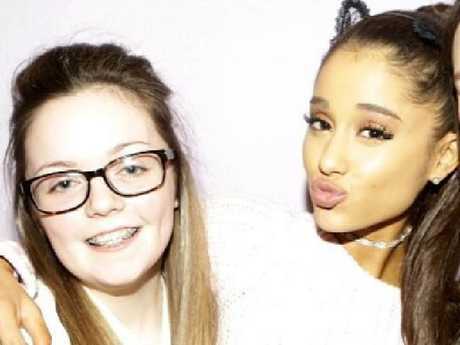 THE suicide bomber who killed 22 people and injured 59 more at an Ariana Grande concert in Manchester deliberately chose to detonate an explosive at the end of the show to inflict "maximum carnage", the British Prime Minister says. 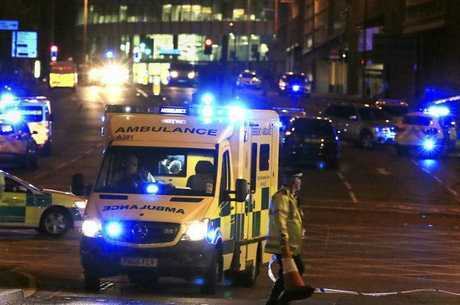 The attacker, named by British police as Salman Abedi, exploded a homemade bomb and died inside Manchester Arena at the end of the US pop star's performance on Monday night. Mr Abedi was a 22-year-old British national of Libyan descent. He was born in Manchester and grew up alongside three siblings. His home in the Manchester suburb of Fallowfield was one of two that police raided in relation to the attack on Tuesday. 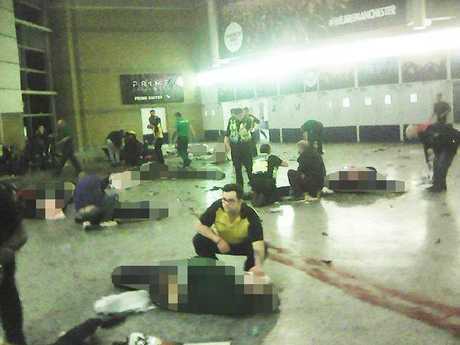 Helpers attend to people inside Manchester Arena after a suicide bomber detonated a bomb. Islamic State has claimed responsibility for the bombing, but Chief Constable Ian Hopkins said it was not clear yet how many other people were involved in the planning. "Our priority, along with the police counterterrorist network and our security partners, is to continue to establish whether he was acting alone or working as part of a wider network," he said Tuesday afternoon. Theresa May said the attack was among "the worst terrorist incidents" in UK history. 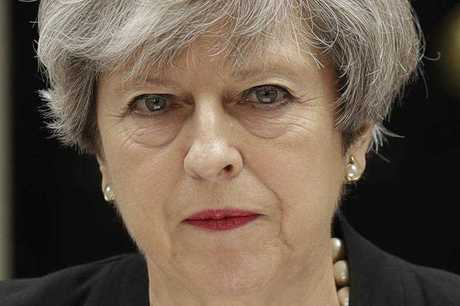 "A single terrorist detonated his improvised explosive device near one of the exits of the venue, deliberately choosing the time and place to cause maximum carnage and to kill and injure indiscriminately," she said outside her official residence at 10 Downing St, London. "It is now beyond doubt that the people of Manchester and of this country have fallen victim to a callous terrorist attack, an attack that targeted some of the youngest people in our society with cold calculation. "As so often, while we experience the worst of humanity in Manchester last night, we also saw the best. "The cowardice of the attacker met the bravery of the emergency services and the people of Manchester. "Let us remember those who died and let us celebrate those who helped safe in the knowledge that the terrorists will never win and our values, our country and our way of life will always prevail." Police said the blast occurred in the foyer of the 21,000-capacity indoor arena, a covered area which links to Victoria railway station. Some concertgoers mistook the massive bang for exploding balloons, which had been dropped onto the crowd at the end of the performance. The bomb sent nuts and bolts flying, witnesses said, and bloodied bodies were strewn across the floor after the blast about 10.30pm Monday (7.30am Tuesday, Australian eastern standard time). Some fans were trampled as panicked crowds tried to flee the venue. "There were fathers carrying their little girls in tears. People were pushing down the stairs. It was just … chaos," Sebastian Diaz, 19, of Newcastle, told AFP. British police arrested a 23-year old man in Chorlton, south Manchester, in connection with the attack and also raided properties in the suburbs of Whalley Range and Fallowfield, where a controlled explosion took place so police could gain safe access. Local residents said a "group of people" were taken away by police after the explosion, according to the BBC. "I've been talking to the police about the investigation that is continuing, and they and the security services are working, obviously, to identify whether there was a wider group of people involved in this particular incident," Ms May told the BBC. 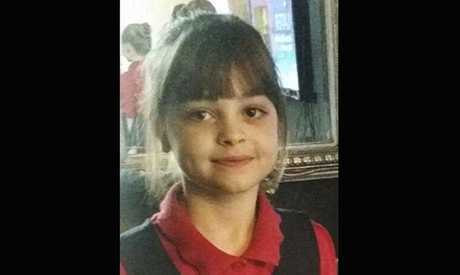 Three victims have been named so far as being among the 22 dead, including an eight-year-old girl. 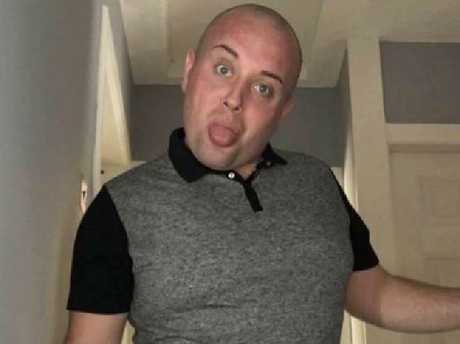 They were Georgina Callander, 18, John Atkinson, 26, and Saffie Rose Roussos, 8. Twelve people under the age of 16 were among the 59 injured. US President Donald Trump condemned the people behind the attack as "evil losers". "I won't call them monsters because they would like that term. I will call them losers," he said while on his first international trip as President in the Middle East. Islamic State released a statement to sympathetic news agency Amaq, praising the bomber. "With Allah's grace and support, a soldier of the Khilafah (Caliphate) managed to place explosive devices in the midst of the gatherings of the crusaders in the British City of Manchester, in revenge of Allah's religion, in an endeavour to terrorise the mushrikin, and in response to their transgressions against the lands of the Muslims," the statement read. "Mushrikin" refers to people who do not worship Allah, who fundamentalist Muslims believe is the one and only god. "The explosive devices were detonated in the shameless concert arena, resulting in 30 (sic) crusaders being killed and 70 others being wounded," the statement continued. "And what comes next will be more severe on the worshippers of the Cross and their allies, by Allah's permission. And all praise is due to Allah, Lord of creation." Grande tweeted after the attack that she was "broken" and "so, so sorry".